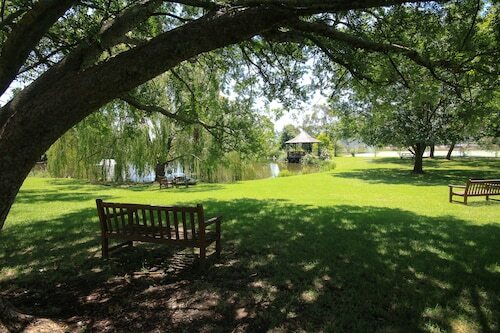 Near the lovely villages of Berrima, Bowral and Burradoo, the hotel offers a quiet oasis with rolling hills and lake. Great weekend away destination with lots of good restaurants and wineries within 20 km driving distance in Bowral and Mittagong. Bowral is a busy place and there are many tourist attractions: wineries, antique shops, book shops, cafes, and markets. 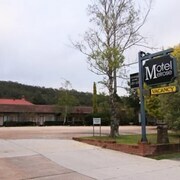 This motel had family sized rooms (for our family of four adults) and is very centrally located in Bowral at a reasonable price. The staff are very friendly and helpful, giving us instructions and maps of the area, showing things us to do and where to dine in Bowral. Beautiful old property that has an elegance about it. It’s not polished, more rustic with very friendly and helpful staff. Which hotels are closest to the Bowral airport? Where to stay near top Bowral attractions? What kind of hotels are in Bowral? 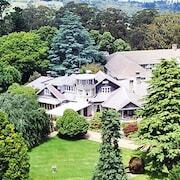 Which hotel chains are in Bowral? Couples looking to get away will find a romantic atmosphere in Bowral, and visitors give high marks for the top-notch restaurants. Relaxing and welcoming, this city will delight tourists with its golf courses, bars, and gardens. The city's natural setting is picturesque, including the gardens and Corbett Gardens. Golfing is just one of the top activities, while Bowral Golf Course and Centennial Vineyards are sights to visit. Additionally, you might want to add International Cricket Hall of Fame to your agenda. 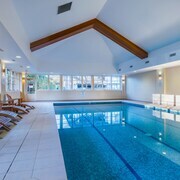 Milton Park Country House Hotel & Spa - With a stay at this 5-star hotel, guests can enjoy access to a full-service spa and free breakfast, along with free WiFi. It's a favorite with Expedia travelers for its helpful staff and proximity to shopping. 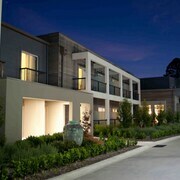 The Sebel Bowral Heritage Park - Our customers like the comfortable beds and location at this apartment. 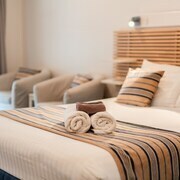 With a stay at this 4-star apartment, guests can enjoy access to an indoor pool and free parking, along with WiFi. 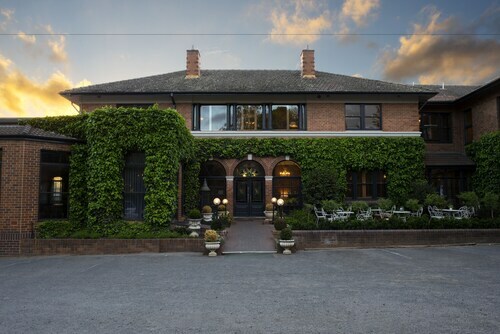 Gibraltar Hotel Bowral - With a stay at this 4.5-star hotel, guests can enjoy access to a full-service spa and a golf course, along with free WiFi. Expedia customers like its bar and breakfast. If you want to explore the larger area, hop on a train at Bowral Station. Bowral may not have many public transportation choices so consider a car rental to maximize your time. Sitting at the base of Mount Gibraltar in New South Wales, Bowral has long been a favourite place for Sydney residents to go on a long weekend or other holiday. Now, it receives visitors from around the globe who want to marvel at its country gardens. In the spring and autumn, Bowral comes alive with tulip blooms. The vibrant colours are put on special display in September during the Tulip Time Festival. Bowral also offers golf, vineyards, and restaurants boasting some good Aussie cuisine. 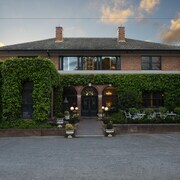 Your trip to Bowral starts right here on Expedia.com.au today. 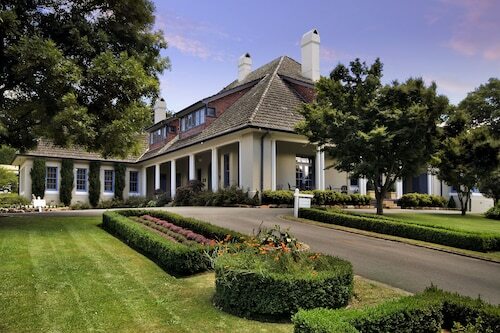 Enjoy a location amid lush greenery by booking Bowral luxury accommodation. Still, the options are diverse and can meet the needs of any travellers. From self-contained cottages that afford lots of privacy to larger hotels with private swimming pools, you are sure to find accommodation in Bowral that improves your holiday. 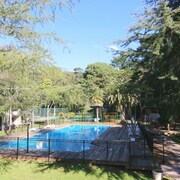 Book your next accommodation right here on Expedia.com.au, where we have assembled the best holiday packages and deals. The Sydney Airport (SYD) is just over 100 kilometres from Bowral. Once you land, you can either take the train to Bowral or opt to rent a car hire from us here at Expedia.com.au to get to town and beyond. Bowral has access to bus and rail transport, and taxis are available for hire around the clock on Bong Bong Street. Whether you are a fan of the green thumb or you just want a quiet retreat, Bowral makes an excellent destination for your next holiday. Families, couples, and solo travellers alike will find the natural beauty worth the trek. 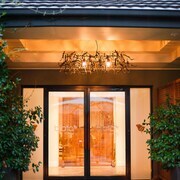 Make your holiday comfortable by staying at one of the best Bowral hotels, available for booking in just minutes here on Expedia.com.au today. 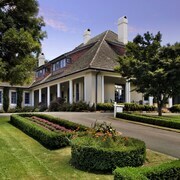 What are the most popular hotels in Bowral? Are there hotels in cities near Bowral? 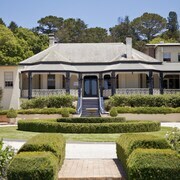 Explore Bowral with Expedia.com.au’s Travel Guides to find the best flights, cars, holiday packages and more!